With the imminent return of NASA astronaut Scott Kelly from his near-yearlong post on the International Space Station, humanity has once again become publicly aware of how cool it is for people to exist in space. Now, entrepreneur Richard Branson is set to up the ante by sending up a new spaceship...and anyone who can pay the price can be a passenger. 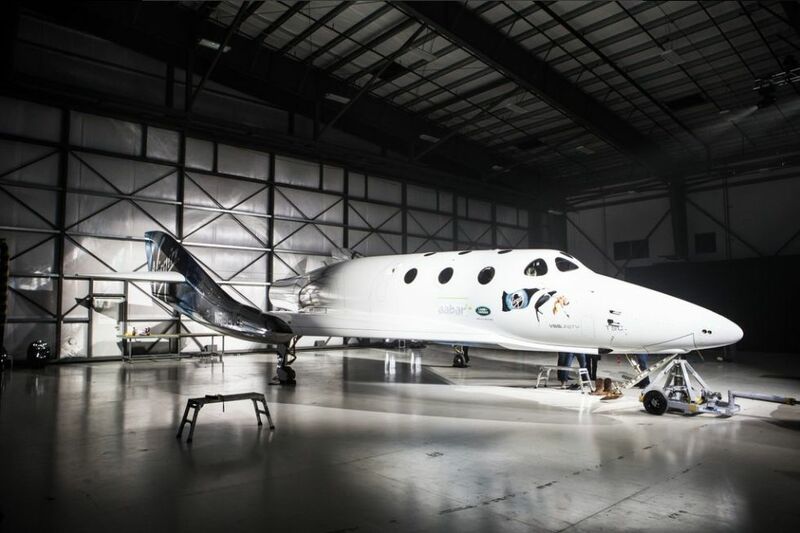 According to the New York Post, Branson's new spaceship is called the VSS Unity, and was created by his rocketry company Virgin Galactic. It was unveiled at the Mojave Air and Space Port in California last Friday. “Together, we can make space accessible in a way that has only been dreamt of before now,” said Branson. And of course it has windows on the ceiling, because SPACE. Some 700 eager astro-adventurers have already signed up for the $250,000 flight. Renowned physicist Stephen Hawking is among their ranks. Branson has promised the 74-year old scientist a free ride, and Hawking has already commenced training for the occasion in weightless environments. His reasons aren't just due to the fact that his entire life has centered around studying astrophysics and all the mysteries the stars entail...Hawking also considers the co-Earthling perspective. “We are entering a new space age and I hope this will help to create a new unity,” a recorded message from Hawking said. “Space exploration has already been a great unifier. We seem able to cooperate between nations in space in a way we can only envy on Earth...It will help bring new meaning to our place on Earth and to our responsibilities as its stewards and it will help us to recognize our place and our future in the cosmos, which is where I believe our ultimate destiny lies." 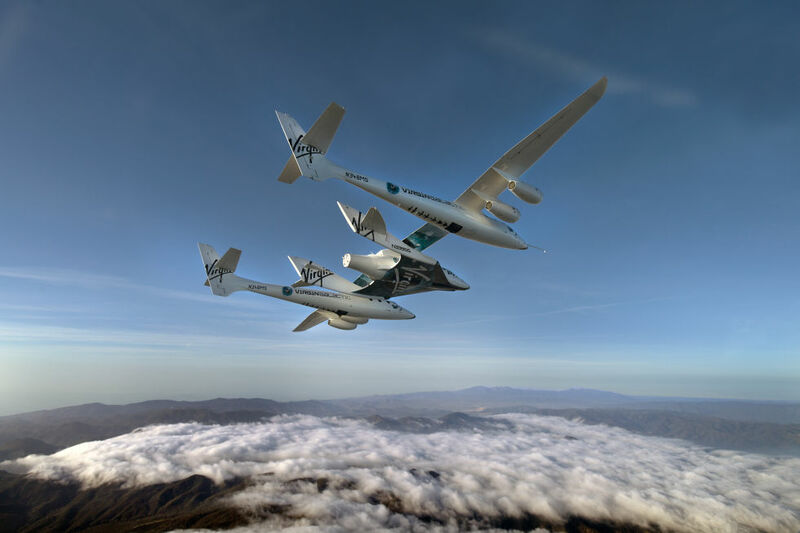 His inspiration has been so great to Branson and his team that the Virgin Galactic pinup girl painted on the side of the spaceship brandishes a banner bearing an image of Hawking's eye. Who says astrophyics can't be cool? Despite the fatal crash of another Virgin spaceship, the Enterprise, in October of 2014, the Unity will also be launched via the same means: from a mothership that fires up the rocket's engine. The mothership, known as White Knight II, will ferry the Unity to 50,000 feet in the air before releasing the spacecraft. The Unity will then ignite its rocket-engine to ascend to some 62 miles above earth, where passengers will feel the embrace of space, which is to say, they'll be floating all around in micro-gravity. The WhiteKnight II squires the Enterprise into the upper atmosphere. A similar means of launch will be used for the Unity. The Unity will then glide back down to Earth like the cool futuristic private spacecraft that it is. New updates to the descent system have improved the feather locking system, which controls the rotation of the tail and wing assembly to slow the craft by providing more surface area. Accidental early deployment of this system had been the cause behind the 2014 crash that claimed the life of Enterprise co-pilot Michael Alsbury. While no official schedule has yet been set for the launch, the unveiling and hype suggest that liftoff might not be too far off. Engineers have stated that ground tests will be undertaken over the next several months. No word yet on what payment plans might be available for Earthlings who want to slip our surly bonds, even if it took the rest of our lives to pay off that $250,000 ticket. For now, even just staring at it is fun.